In 1965, Barry Ackerman earned a bronze medal in Long Jump competition as a member of the United States Maccabiah Track and Field team. He has since gone back to the Macccabiah Games as coach of the Los Angeles Youth Track and Field Team, and as a member of the media delegation. Ackerman also headed U.S. delegations to both the Pan American Maccabiah Games and Australian Maccabi Winter Carnival. 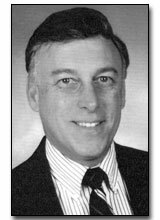 In 1992, Ackerman was appointed to the Maccabi USA/Sports For Israel Board of Directors, and has served as chairman of the U.S. Maccabiah Track and Field Juniors. Before coming to Orange County, Barry Ackerman was a University of Wisconsin track and field star, winning Big Ten championships in the Long Jump and 100-Meter events, among his other competitive successes. Barry has earned many honors, including the 1968 Helms Foundation Track and Field Co-Athlete of the Year Award.